Heeft u een vraag voor Muzik Hotel - Ximending Xining? Gesitueerd in de gezellige wijk Ximending, geniet Muzik Hotel - Ximending Xining een goede reputatie onder reizigers met een interesse in dewinkelen, nachtleven, restaurants centrum van Taipei. Slechts 0.2 km verwijderd van het stadscentrum, is dit een goede plek voor gasten om te genieten van de attracties en activiteiten in de stad. Een plezierige omgeving en de nabijheid van Bafa Tea House, Shi Zi Lin Mall, Milk Houses (Weifeng Taibei Station) verschaffen deze accommodatie een bijzondere charme. 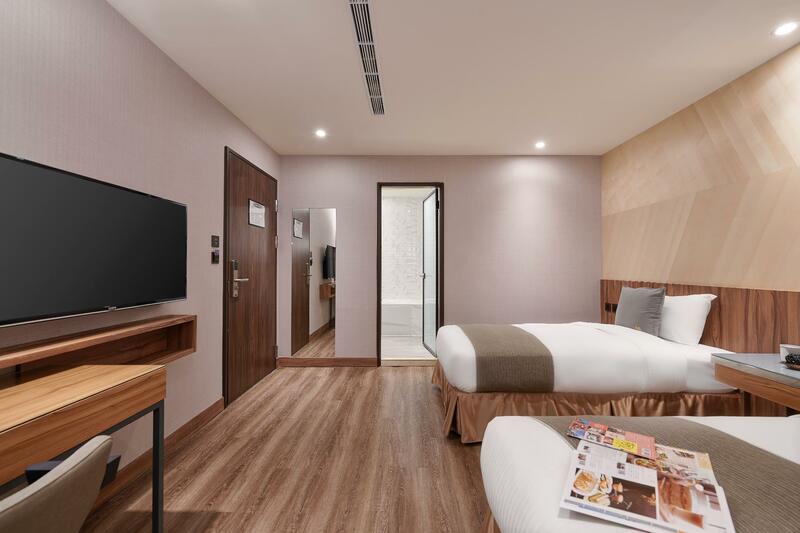 Muzik Hotel - Ximending Xining biedt gasten superieure services, plus een breed scala aan voorzieningen, en is toegewijd om uw verblijf zo comfortabel mogelijk te maken. De topvoorzieningen van de accommodatie zijn inclusief 24-uur roomservice, gratis wi-fi in alle kamers, dagelijkse schoonmaak, boodschap bezorging, post service. Gasten kunnen kiezen uit 20 kamers, welke stuk voor stuk plezierig en comfortabel zijn ingericht. De accommodatie biedt talrijke recreatieve mogelijkheden, zodat u voldoende te doen heeft tijdens uw verblijf . 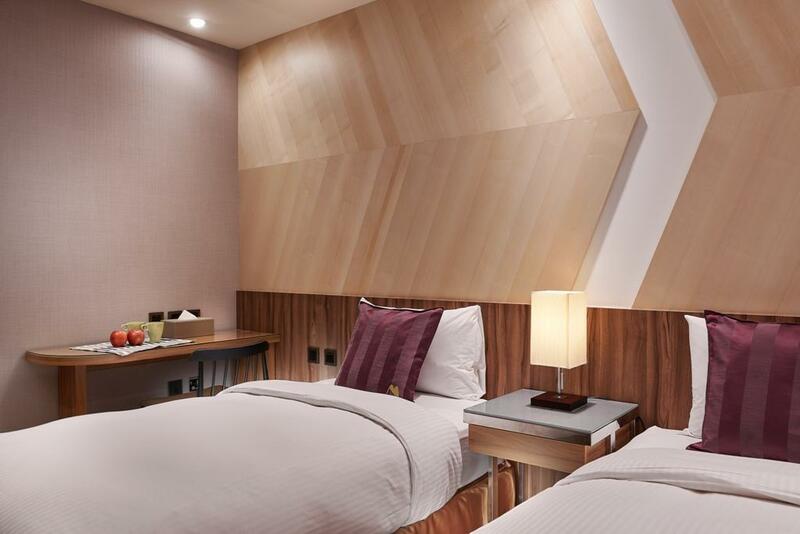 Muzik Hotel - Ximending Xining is een slimme keuze voor mensen die naar Taipei reizen, een ontspannen verblijf is gegarandeerd. Een ledikant, kinderstoel en babybadje zijn gratis beschikbaar, maar onderhevig aan beschikbaarheid. Het ledikant kan alleen in de Superior driepersoons- en de Premier vierpersoonskamers gebruikt worden. Vooraf reserveren is vereist. We stayed in "Grand Double Room without Window" and their room layout was adequate. There was enough space to fully open 2 luggages. Our double bed was firm and huge and we had a good sleep (walls are quite sound proof too). For the bathroom, hot water works well and there's good water pressure . Staff were always polite and helpful. There are plenty of cafes/eateries and massage parlors within walking distance. Hotel also provide 24hr complimentary snacks and drinks. Overall, we had an enjoyable stay! 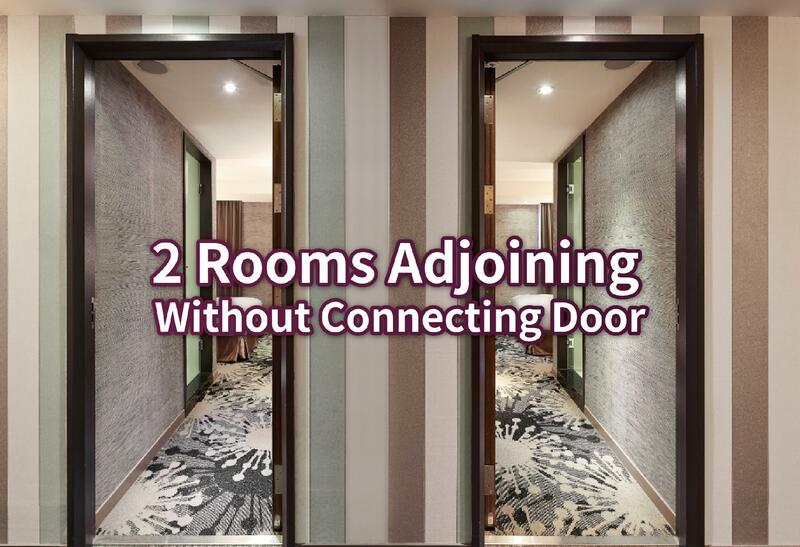 Con: Location not convenient, 10mins walk from Ximen MRT station. it's very near to ximending. 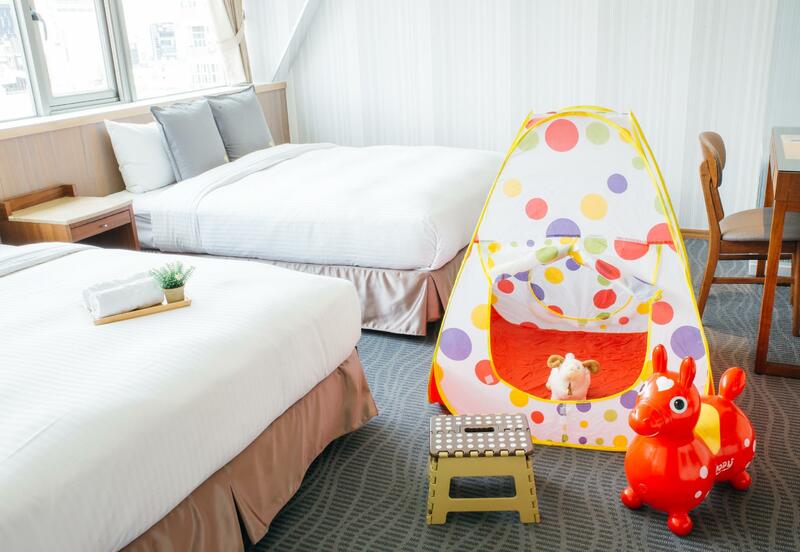 i will definitely recommend this hotel to friends who are going to taipei. worth they stay. Hotel Lobby is at 3rd Floor, enter via side entrance of the building beside a Japanese restaurant. Hotel reception staff are always warm, friendly and helpful. I have stayed in Deluxe High Floor Double. Room size 18m sq can lay open 2pcs of 28 inch luggage. The window basically there is no view, is looking to next building wall, therefore I think make no difference in a window is available a not. Bed is firm with soft pillow, clean white comfortable bed sheet. Cable TV has wide selection of channels to choose. I like the shower room, area given is quite good, hot water and water pressure is great. Toilet has bidet function. In shower room, there is a rack of hooks to hang towels and clothing (this is what other Hotel lack off) This is a hotel that is really value for money and provide users with practical stuff. Fridge has water, isotonic water n packet green tea, snacks are given too. As for location is close to XMD, and 7-11 jus right opposite. My room level has a common area with small pantry, can excess to free flow of instant coffee or tea, coffee making machine and hot and cold water dispenser 😄👍🏾. There is big table and benches, sometimes we do packed our dinner and eat at common area comfortably. Highly recommend this hotel for is value for money. Best part they jus renovated, and all their things are new. Hotel Wi-Fi provided is strong and stable too. Hotel is situated in good location, outer Ximending. We booked room with window for 3 pp. It is comfortable, clean, stylish and has enough space for luggage. This branch is also next to Mala Yaunyang hotpot, which is so delicious. Staff is so kind, helpful & active. There's souvenirs service; you order, they pack carefully and deliver. 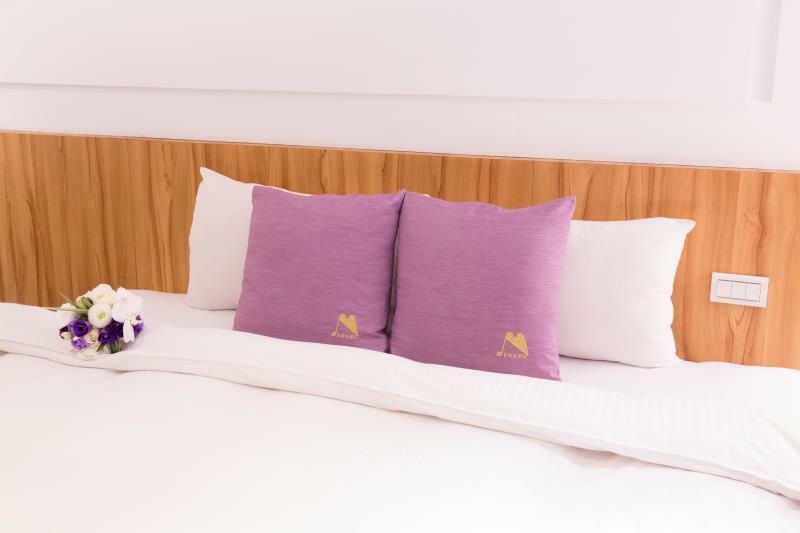 This hotel is located in a good location, nearby to ximending shopping area within walking distance. The hotel is clean, staff are friendly and able to provide help when we need it. Our room is located at 9th floor, free coffee and tea is available at common area. The hotel also provide self laundry services. I will definitely come back to this hotel during my next trip. 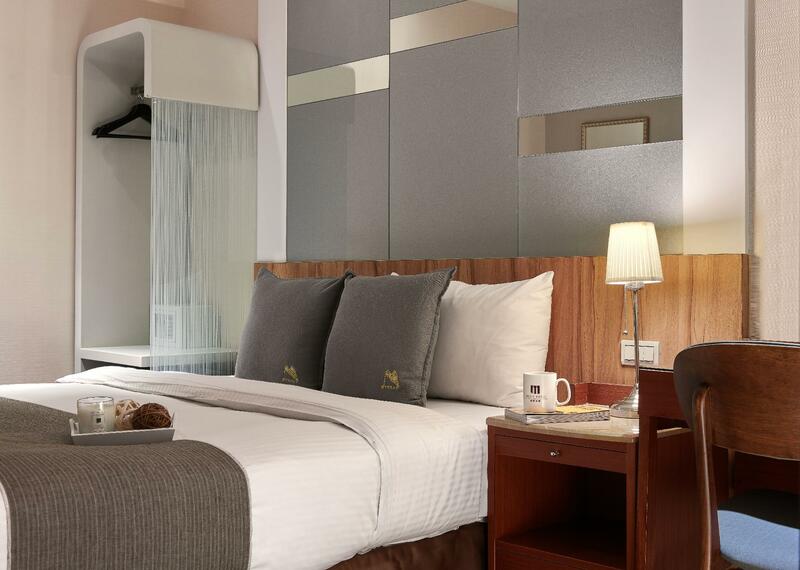 The rooms are newly renovated! My child enjoyed taking a bath in the bath tub. The bed are really comfy. Front desk is very helpful and speaks english well. And free Coffee and Water in their lounge area. Its near Ximending Night Market, not inside it. So you have to walk about 5mins going to the night market. 10-12mins walk to Ximen Station. Also they don’t consider early check-in, so you’ll have to wait until 3PM for them to check you in. We arrived at the hotel around 1PM, yet they asked us to wait for 2 hours since their check in time is 3PM. Wasted time especially for tourists like us. 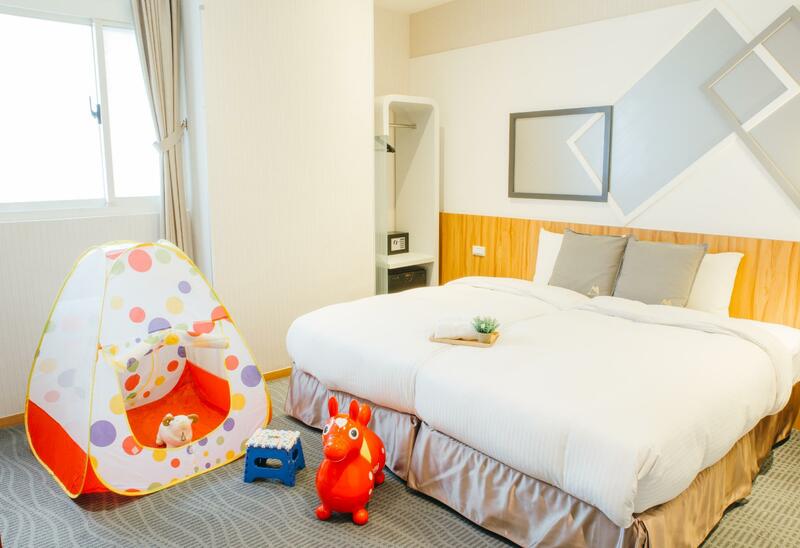 As for the pricing, this hotel is not the best location among Ximending area, but the room is clean and cozy, the staffs and house keeping Aunty are nice and friendly. There are free snacks and coffee 24 hours. If manage to get good deal pricing will still come back although a bit far from MRT compare to other hotels I stay last time in Ximending. But this is the best and cleanest room I ever get. This hotel is too small and other hotel nearby is even better IMO. Can try INHOUSE hotel instead as we stay the for our last 2 days in Taipei. Loved the stay. Staff was attentive and helpful before and during the course of stay. Except that it is a 5-10mins walk from the metro. Can be a hassle when it rains as there isnt much shelter around Ximending. Room was upgraded automatically seeing that we have a kid (likely due to weekdays where demand is low). Staff are friendly to recommend eateries nearby (food is good too) and allow special requests of luggage depository even before we stay there, even lend us a thermometer as kiddo was not feeling well. Hotel location is good, just streets from the ximending central with a lot of food / shops nearby. The nearest MTR is also within short walking distance. Room is spacious and clean too. Only con is the shower room design, which have an awkward slope at the ceiling. This resulted in the curtains unable to block the water from flowing out to the toilet area. Overall will still stay there again! Special shout-out to the friendly staff there: Well done! About 200 m to Ximending which is a famous place for tourist. Hotel reception is on the 3rd floor which is the same building as Mala Hotpot, 2nd floor. No BF but has coffee and bread for grab and go. i stayed in a quad room while my parent stayed in a double room. quad room is quite spacious but the double room is very small.not much walking space after putting or opening luggage. the staff is friendly and helpful. the entrance to the hotel at lvl1 is not very appealing but the hotel lobby on lvl3 give much comfort after having a scare upon seeing the lvl 1 entrance. the hotel look quite new and it's clean. hotel location is near to the 永和豆浆 , good place for breakfast. XMD is 5mins walk away. overall experience quite good. Although room is quite small, but is not a matter. Good location which is near to ximending, staffs are kind and easy to communicate. Value for money, staffs were helpful and friendly.